A Few Lucky Guests on each Arc’teryx Trip will Enter to Win a FREE TRIP to Jackson Hole!!! Check the dates and sign up for any of these trips asap! Winners will be chosen from active reservations. !!! 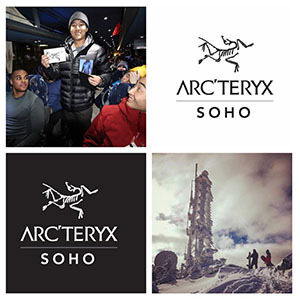 In further effort to hook up The Ultimate Ride guests and the NYC Snow Community at large, our friends at the Arc’teryx Soho shop are offering a FREE TRIP on another OvR Snow bus, when you join on one of these trips. Sooooooooo… essentially you might win a 2 for 1 just for choosing The Ultimate Ride. Join any one of these dates, then make a purchase in the Arc’teryx Soho store (regardless of amount) and you’ll be entered to WIN A TRIP TO JACKSON HOLE!!! Really, you deserve some fresh new gear and hell… once you got it, might as well use it and get out to the mountains. Why not turn your trip with us and your gear from Arc’teryx into a trip to OvRride Jackson Hole? We head out west for our annual excursion in the Grand Teton mountains this March and some lucky winner is heading out there with us! This just may be the best mountain resort in the world and you can get there just by doing what you already do – joining us and gearing up! This entry was posted in Arc'Teryx, Events, Featured, Gear, Hunter, Jackson Hole, Killington, Mountain Destinations, News, NYC, Okemo, Out West, OvR Shout Outs, Partnerships, Trips, windham. Bookmark the permalink.